equine sculptures, such as wire, roots from trees, plaster, stone, iron and bronze. Lena Untidt is educated graphic designer and illustrator, but today she works exclusively with sculptures. 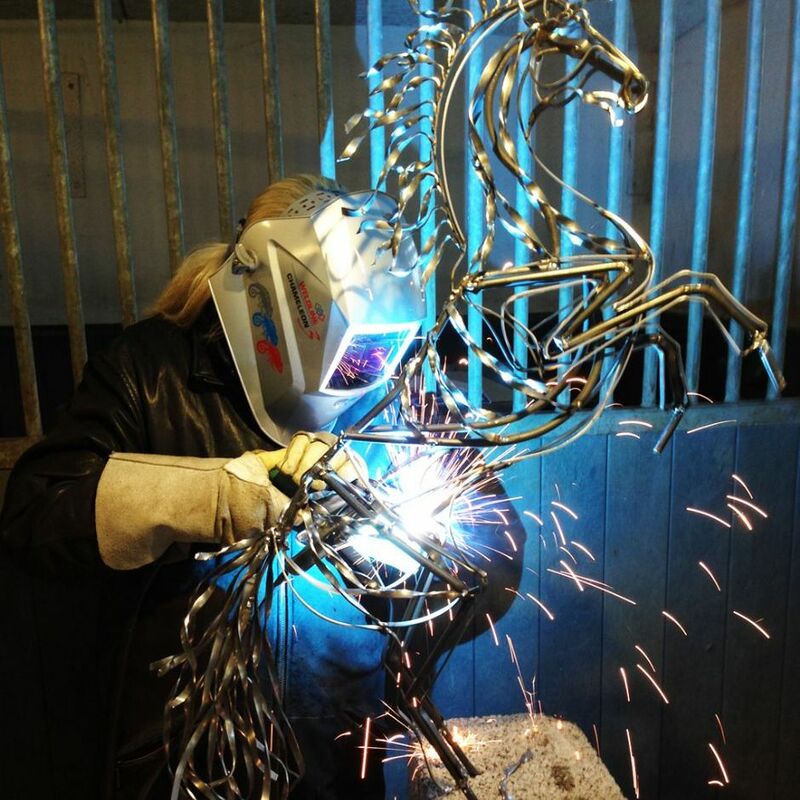 She uses a variety of materials for her equine sculptures, such as wire, tree roots, plaster, stone, iron and bronze. 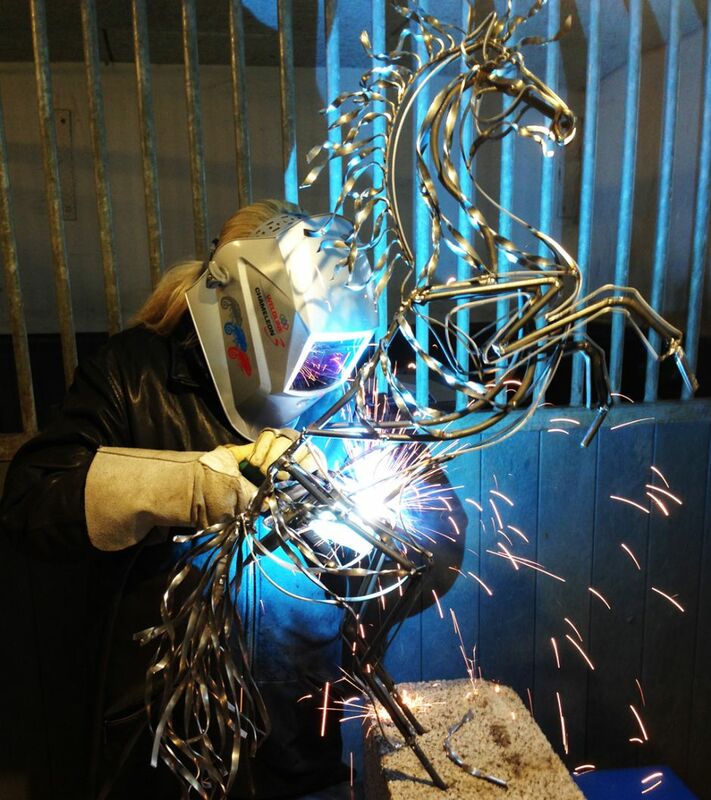 The properties of these materials brings life to the incredibly vivid equine sculptures. The farm in Denmark is the perfect setting for Lena’s studio, here she performs her work of art every day. Horses and art have always been important in Lena’s life. Therefore it was natural for her to combine these two interests. 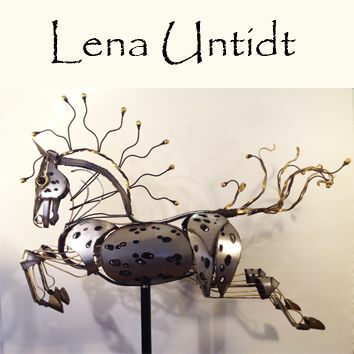 Every time she discovers a new material the equine sculpture obtains a new expression, and that is what drives Lena in her work. Apart from several Art exhibitions in Denmark, Lena has exhibited in Paris and Normandy several times, as well as London, Los Angeles, Milano, Palermo, Peschiera del Garda, Barcelona, Rome and latest in Berlin. ArAnima Lena Untidt is a member of the artist group ArAnima in France, and has participated in several exhibitions.